Home » Incometax » What GST input tax credit? How to claim it? Can I avail GST input tax credit benefit? If yes, how to avail it? It is one of the most frequently asked question by business community today. In this post, I will try to answer this question. In addition to that, I will also discuss GST & types of taxes under GST. GST (Goods and Service Tax) is an indirect tax applicable on goods and services for the entire nation. The aim of GST is to create monolithic market across India. This tax is applicable from 1st July 2017. It is claimed to be a single tax on the supply of goods and services availed, starting from manufacturer to the consumer. There are three types of taxes applicable under GST regime. 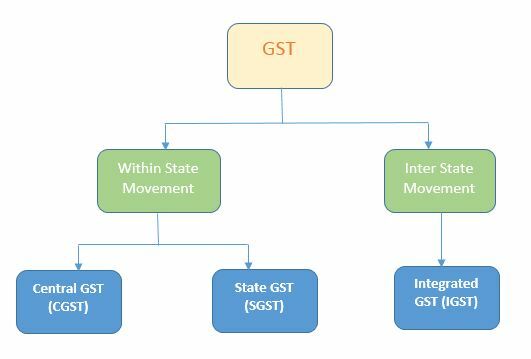 SGST, IGST, and CGST. SGST is levied by the state government. SGST is applicable on the goods and services sold within the state. In addition to SGST, CGST is also applicable to the goods and services sold within the state. CGST or Central GST is levied by the central government. CGST is applicable on the goods and services sold within the state. Third types of tax under GST is IGST. IGST or Integrated GST is levied by the central government on the interstate supply of goods and services. Suppose dealer ABC in Gujarat state sold goods of Rs.20000 to another dealer XYZ in the same state. As it is transaction within the same state, SGST and CGST both are applicable. Let us say GST on goods sold is 18% than SGST will be 9% and CGST will be 9%. ABC needs to collect Rs.3600 as tax from XYZ, out of which Rs.1800 will go to the state government and Rs.1800 to the central government. Now, suppose dealer ABC from Gujarat sold goods to another dealer in Maharashtra state. It will be interstate transaction so, IGST shall be applicable on the transaction. Also Read – Goods and Service Tax (GST) – Beneficial to the Common Man? What GST input tax credit? Input tax credit is the credit received by the manufacturer towards tax paid for the inputs/raw material used in the manufacturing of products. 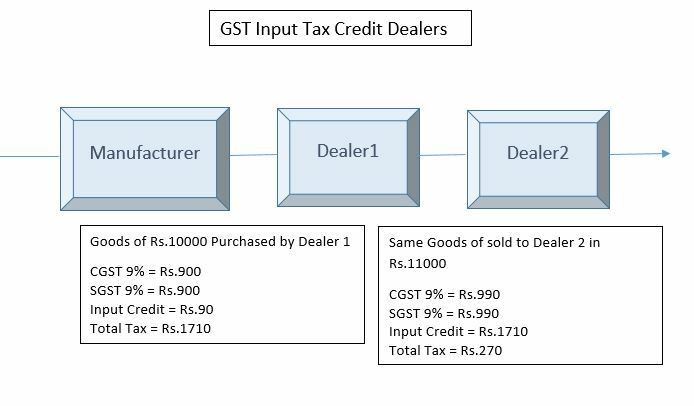 Similarly, a dealer is also entitled to avail benefit of input tax credit if he/she has purchased goods for resale. All dealers are liable to pay tax (output tax) on the sales of goods while doing business. Input tax credit helps them in reducing the tax burden, as they can offset the output tax against the input tax paid. This reduces cascading tax effect of an earlier indirect tax system. Indirectly it will also reduce the final cost of finished goods. Let us understand how ‘cascading’ of taxes was taking place in the earlier system. For example, to manufacture a pen, the manufacturer requires plastic, refill tube, metal clip, etc. All these ‘inputs’ are chargeable to central excise duty. Once a ‘pen’ is manufactured by using these inputs, the pen is also chargeable to central excise duty. This tax is charged by the Central government. Once this pen is sold to the trader VAT is applicable on the transaction. VAT is charged by the state government. The manufacturer can not use the credit of central excise duty paid on the pen for payment of VAT. As both, these taxes are different and not linked. Goods and Services Tax (GST) will provide input tax credit in entire chain and mitigate the cascading effect of an earlier tax system. Under new GST system, all taxes are combined as new single tax. The benefit of input tax credit starting from manufacturing to the consumer shall be applicable. How to Claim GST input tax credit? GST input tax credit can be claimed while you are filing GST return. In this supply chain, GSTR1 will be filed by manufacturer showing outward supply of goods. The details mentioned in GSTR1 will be populated automatically when Dealer 1 Files GSTR 2 return. The dealer 1 accepts the details reported by the seller. Dealer 1 can claim input tax credit and claim the refund or adjust against output tax liability. 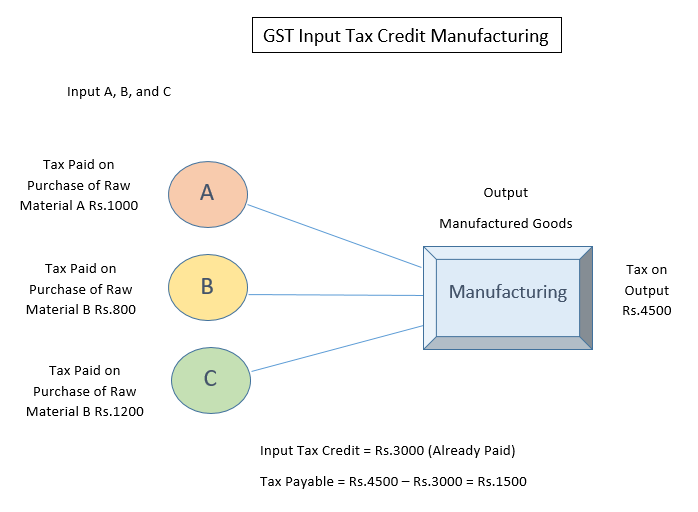 GST is complex, but it has many advantages including input tax credit. You can not avoid GST. 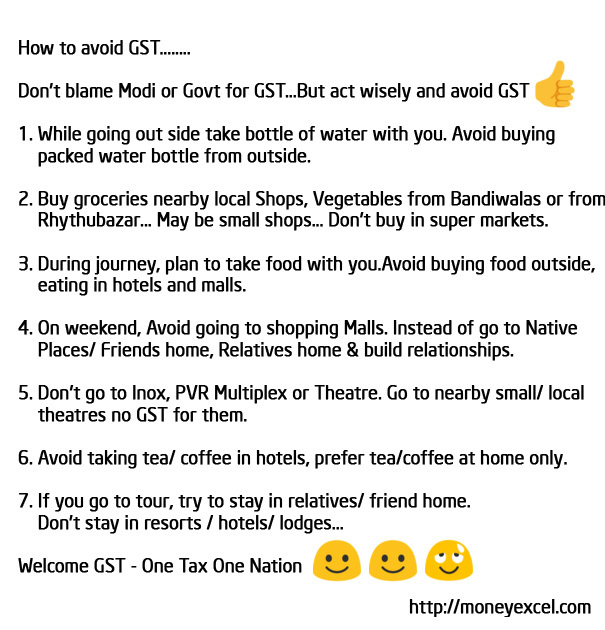 However, if you still want to avoid GST and save money follow the few commandments given below. Goods and Service Tax (GST) – Beneficial to the Common Man?